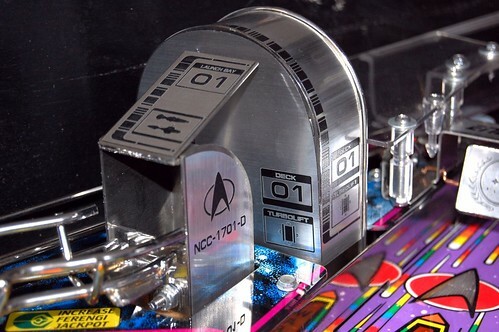 Top » Catalog » Game Specific Products » Star Trek: The Next Generation » TNGvukDress Bookmark Us! 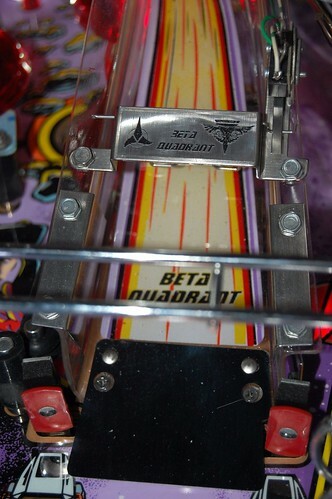 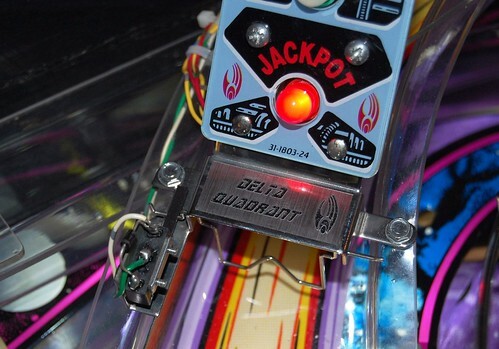 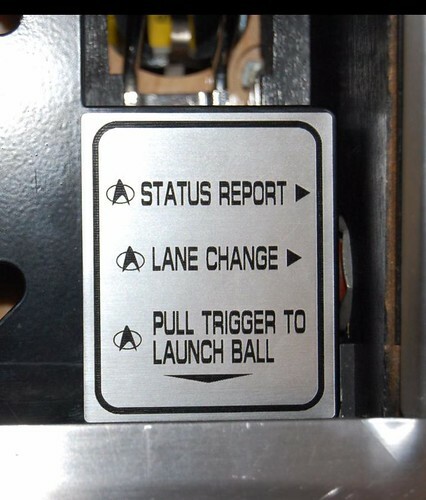 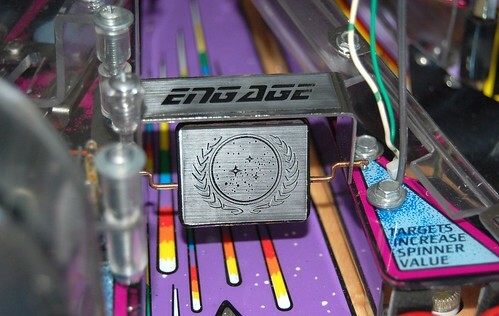 These custom designed decals are laser etched onto brushed-aluminum high quality decal material providing a much needed dress up for several areas of the William's Star Trek: The Next Generation Pinball machine. 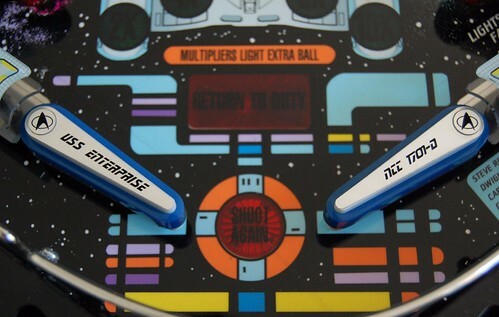 This decal set is lovingly crafted by Nycon in Germany for distribution by Pinball-Mods.com here in North America. 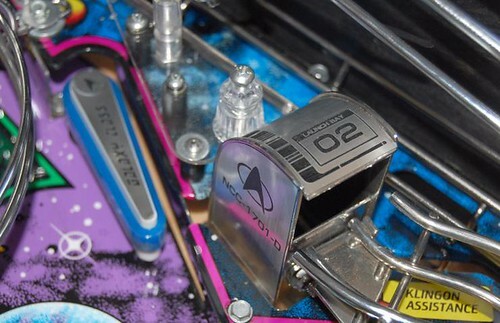 We are the exclusive provider of these decals for North America. 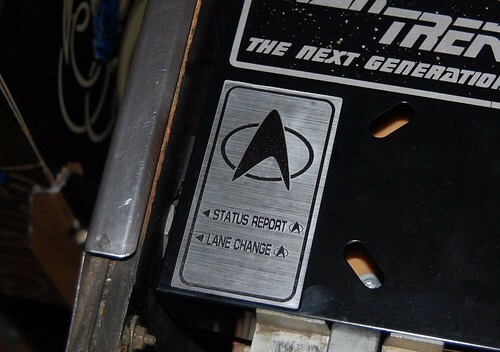 For more information on these decals or for general help; please visit the Pinside Thread. 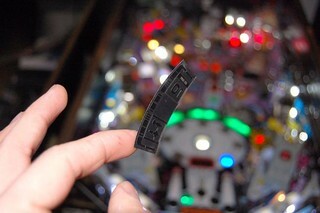 Notify me when "STNG VUK/Bracket Dressing" is re-stocked.